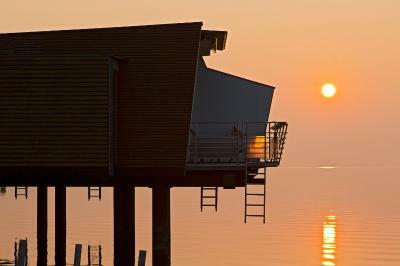 Lock in a great price for Hotel Palafitte - rated 9.2 by recent guests. The Sandoz Foundation have excelled themselves here. Chefs at Beau- Rivage Lausanne should be sent here to train. The room. Location away from downtown if you looking for quietness. Staff. The view was beautiful and the location fantastic above the lake! Great rooms and amenities Free stand up paddle boards to go on the lake great terrace at the bar for drinks The restaurant is good but not like a Michelin star or gastronomic restaurant Make sure you arrive at the hotel early at check in to make the most of the room view and baclony and hotel activities, it's worth it! Very nice private pavilion with plenty of space, and excellent housekeeping staff. Electronic shutters and fly screens very useful. Being over the lake is really unusual and nice. Food in the restaurant was very good. Relaxing stay in the pavilion built over the lake’s water... it’s like being on a private ship that is parked in a peaceful place. The room service food quality is perfect and the bed and in room jacuzzi made for a relaxing long weekend. 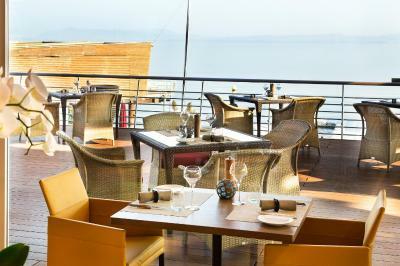 The view from the main restaurant is breathtaking and the staff is very friendly and helpful . 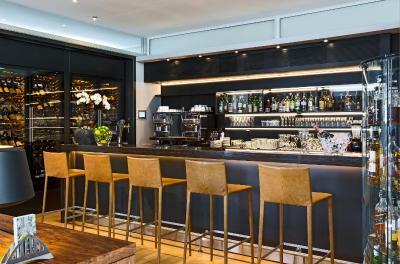 The bus station is a 100 meters from the hotel making the train station and the city center easily accessible. 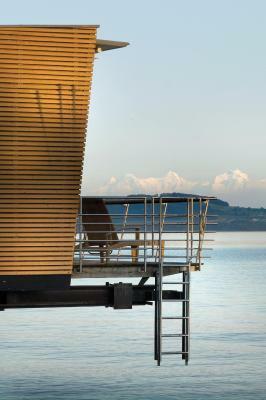 The Hotel Palafitte offers you individual luxury pavilions with breathtaking views of Lake Neuchâtel and the Alps, half of which are built on piles directly in the lake. 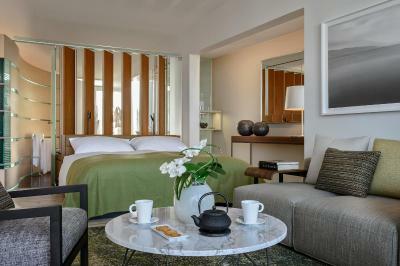 Each pavilion is 68 m² in size and is equipped with a spa bath, a Nespresso coffee machine, air-conditioning, free internet access and free wireless internet. 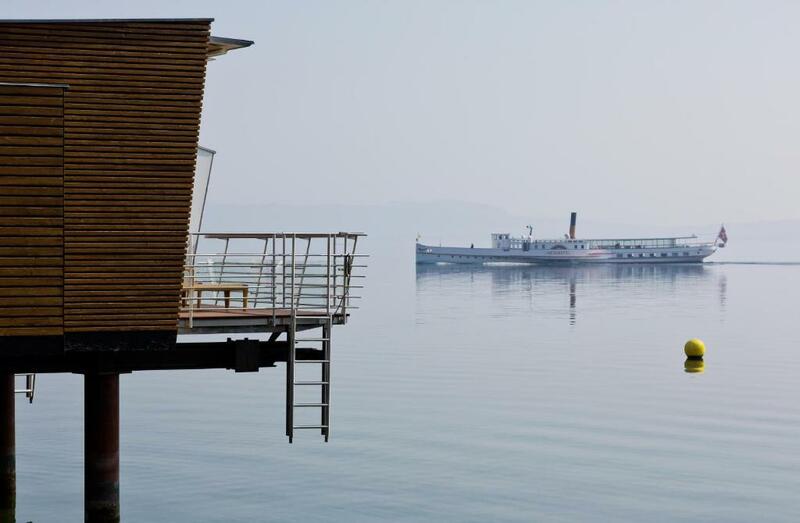 The private terrace of the pavilions built on the water offer you direct access to the lake. 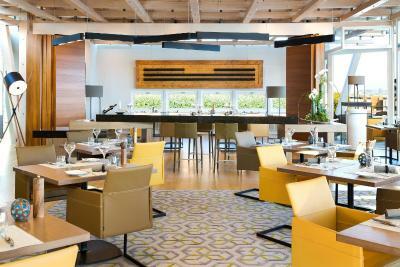 The elegant restaurant La Table de Palafitte offers you refined Swiss and local cuisine. 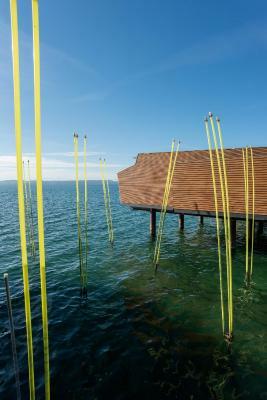 This property also has one of the best-rated locations in Neuchâtel! Guests are happier about it compared to other properties in the area. Hotel Palafitte has been welcoming Booking.com guests since 14 Jan 2005. 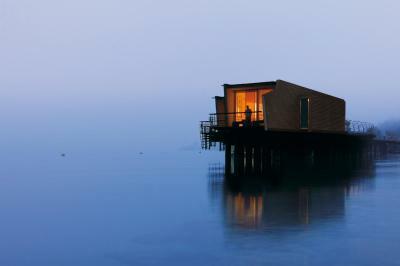 When would you like to stay at Hotel Palafitte? 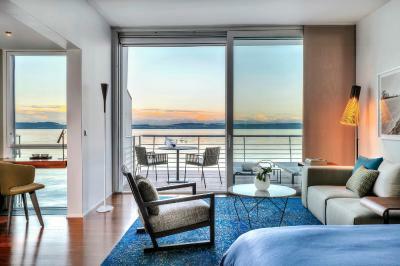 The Lake Pavillons are built directly on the lake with private lake access from your terrace. 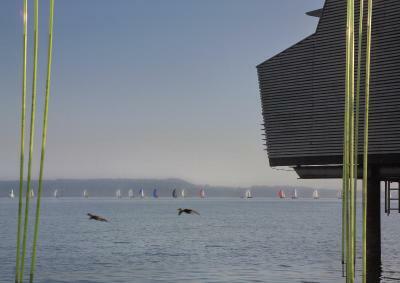 The Shore Pavillons are builet directly behind the Lake Pavillons with Lake view. 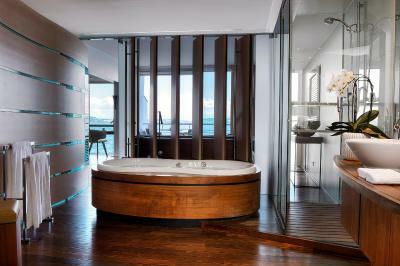 House rules Hotel Palafitte takes special requests - add in the next step! Hotel Palafitte accepts these cards and reserves the right to temporarily hold an amount prior to arrival. There were few waiters at the restaurant and we had to wait for a long time between the different meals and dishes. The breakfast is good but not for a 5 star hotel. Specially because they don't replace by themselves. You have to ask for it. The staff very friendly and helpful. The metre of the restaurant was charming. The orange juice at breakfast and the quality of the food is outstanding. The room was amazing. Very beautiful. The hotel upgraded us so I'm very grateful for that present and I strongly recommend this hotel. Breakfast buffet could have more choices for a 5Star hotel. the view wasn't great because I couldn't secure a room on the water. The room was not clean as per a 5stars hotel standard : spiderwebs and dust so given the price of the room that was disappointing but I made feedback directly at reception. 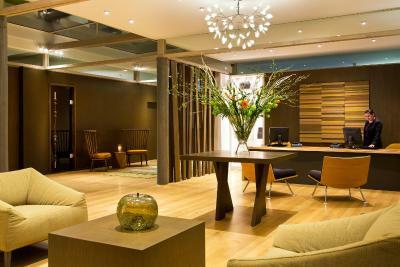 You couldn't not like this hotel, however a few things surprised me. The standard of maintenance on the property whilst not bad was not of the quality one would expect in such a hotel. My room door stuck and had to be heaved open. The cladding on the exterior of some rooms was dented etc. Given the flies and cobwebs on the deck railings and the fly screen it did not look as though they were cleaned often enough. None of this is all that material but surprising in such a hotel. We tried one evening to order some sandwiches for lunch the following day. The staff on duty made it all so complicated we gave up. However when we tried again in the morning the staff then on duty had sandwiches with us within 10 minutes - strange again. In summary a delightful place but given the short comings, they should either sort them out or charge less!! Currently not really value for money. The setting is magnificent. 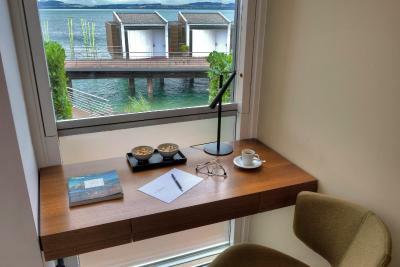 The rooms along the lake have wonderful views and direct access from your own private terrace to the lake for swimming. 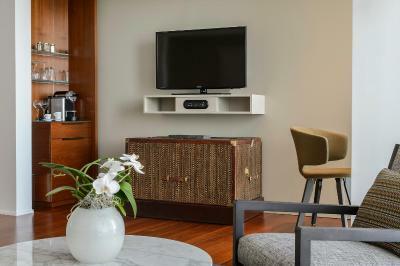 The rooms are clean, comfortable and well appointed. The staff were all very pleasant and helpful. The property has an air of calm. Meals were very pleasant. Very expensive overall especially considering there is no pool (of course we knew this), and food was expensive too. The design of the pavillion meant the air conditioning didn't refresh the sleeping area very well. The outside entrance doesn't give a 5 star impression. There is no swimming pool available for people who would prefer not to swim in the lake.